Whether you are coming to visit Lehigh University, Dorney Park & Wild Water Kingdom, Blue Mountain Resort, or taking our free hotel shuttle service to or from Lehigh Valley International Airport (ABE), our affordable room blocks, outstanding service and convenient location will make your hotel stay memorable. 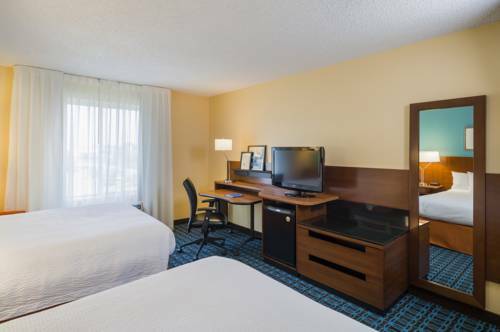 Our stylish guest rooms and suites feature everything that you need to relax and be productive. Our hotel amenities include a free hot breakfast, free Wi-Fi, a fully-equipped fitness center and our seasonal outdoor pool. At the Fairfield Inn & Suites Allentown Bethlehem/Lehigh Valley Airport, youre our #1 priority. That is our commitment to you.